Jupiter Country Club is becoming known as one of the best private golf courses in Jupiter Florida among the private golf courses in Jupiter Florida. The Jupiter Country Club is a luxurious newer gated community in Palm Beach County. The homes’ windows in Jupiter Country Club overlook the surrounding premiere golf course and strategically placed lakes. Jupiter Country Club residents have top-of-the-line resort facilities and impressive recreational opportunities all within the comfort of their own neighborhood. There are different membership options to join the community, letting you choose the plan that works best for you. In addition to great homes, Jupiter Country Club is close to all of Florida’s gorgeous beaches, shopping, and dining. Real estate in Jupiter Country Club is a combination of 362 single-family homes and townhomes. The single-family homes are available in gorgeous Tuscan-style designs. The homes range in size from 2,300 square feet to 5,600 square feet, letting you choose the space that meets your needs. 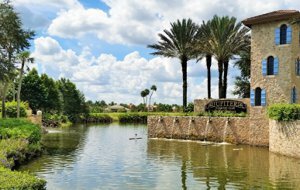 Residents of Jupiter Country Club have beautiful views of the 483-plus green acres of the Greg Norman championship golf course around their homes. Some homes have views of the scenic lakes throughout the community. Luxury amenities often include high ceilings, private master suites, and gourmet dining rooms. In addition to the 18 holes of championship golf, residents of Jupiter Country Club also have exclusive access to resort-style amenities. Two expansive Mediterranean-designed clubhouses, a fine dining restaurant, and a grill room for casual dining offer spaces to socialize with friends and neighbors. 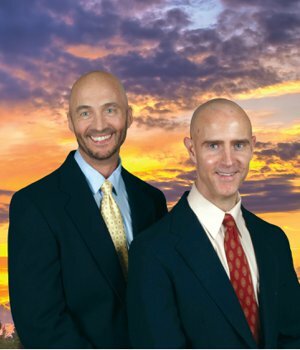 call The Jupiter Country Club Experts, Thom and Rory. There are two swimming pools—one for adults only, and one for families. You can play a round of tennis under the lighted courts. Fitting in fitness is easy with The Palestra, a state-of-the-art health center filled with the latest equipment. Lockers are available to store gear and to unwind, there is a massage room. Jupiter Country Club homes are also close to some of the area’s best shopping and dining opportunities. The Florida Turnpike and I-95 are only a few moments from the community, making it easy to find the latest fashions and try the newest cuisines. Jupiter Country Club residents will have many local town options for area dining, shopping, entertainment. Just minutes from the new Harbourside development where "The Woods" Tiger Wood's ONLY restaurant offers exquisite menu options in a modern upscale setting. Calaveras Mexican Cantina with delicious entrees from start to finish in a funky friendly atmosphere with exceptional service. You may also want to check out the Tommy Bahama dining facility with an exceptional happy hour experience. Palm Beach Gardens, a short drive away, features the Gardens Mall, which has over 150 shops. Visitors can find department stores like Nordstorm and Macy’s, as well as upscale retailers like Tory Burch and PacSun. Hungry shoppers can find several restaurants throughout the mall. Downtown at the Gardens is an outdoor venue where visitors will find everything from upscale boutiques to sports equipment in addition to several restaurants like The Blend Bistro and The Cheesecake Factory. There is also a Cobb 16 movie theater to catch the latest flicks. Nearby the popular Christopher's Kitchen with delicious vegetarian and vegan options in an upscale cosmopolitan setting. In the same area, you can find Bonefish Grill, J. Alexanders, Rocco's Tacos, Vic and Angelo's. The list goes on. GET TO KNOW MORE ABOUT JUPITER HERE. Residents of Jupiter Country Club are served by the School District of Palm Beach County. Many top-rated schools are close by, offering easy access for families. For alternative education, there are several private schools in the area. See Below All The Homes In Jupiter Country Club Currently For Sale. HOMES IN THE JUPITER COUNTRY CLUB COMMUNITY WILL GO QUICKLY WHEN PRICED WELL. BE SURE TO GET ON OUR ADVANCED NOTICE LIST TO RECEIVE IMMEDIATE NOTICE OF THE LATEST LISTINGS PRIOR TO OR WHEN FIRST PRESENTED ON THE MARKET IN THE MLS.